Book Review : Last Child in the Woods. In this fantastic reminder of the ways in which we are connected to the world around us, Richard Louv calls on us to bring our children back to nature for their own sake and for the sake of our collective future. Louv introduces the idea of Nature-Deficit Disorder to describe the social, emotional, and academic effects that our distance from nature is having on children. Through the use of prodigious scientific research in child development and psychology, he demonstrates an undeniable connection between immersion in nature and overall personal wellbeing - both for children and when they grow up to be adults. This book delves into the benefits of having a regular connection to nature throughout childhood, such as physical health, stronger eyesight, increased creativity, and a healthy dose of humility. It then discusses the opposite, the effects of not having a strong connection with nature throughout childhood, and demonstrates how the reunion between children and nature can be healing. For example, the link between nature-deficit and ADD/ADHD is particularly startling and very well researched. At the same time “nature therapy” activities like fishing, hiking, or unstructured alone-time in the woods were shown to be just as effective at treating the symptoms of ADD/ADHD as medication. 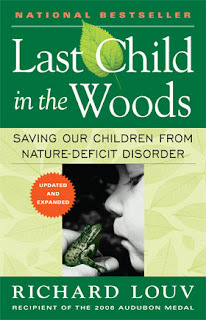 This book also explores many of the causes behind the child-nature divide. Many of these are well-intentioned, such as municipal laws and unspoken rules that supposedly keep children safe (for example, no climbing trees), the desire to fill up children’s time with extra-curricular activities and team sports, and the fear of child predators. Many adults expressed, to great sadness, the thought that today’s world is just not as trustworthy as it was in their day for their children or grandchildren to ramble off in the woods as they did as children. The fear of stranger-danger has continued to grow despite the consistent statistically low likelihood of child abduction. Richard Louv discusses this issue in great depth, including the roots of the fear, how to get over it, as well as how to be realistic about it and keep your children safe outside. This book is a bit research-dense and perhaps a bit dry for some readers. Personally, I like that because I like to see all the specifics of the research backing up such strong claims. However, most parts are still very readable, with all the scientific stuff seamlessly woven into well-written personal narratives of the author’s own life and heart-touching conversations between himself, children and other adults. The book also has an excellent “field guide” section at the end full of discussion questions (for kids and adults), excellent activity ideas for kids of every age, and organizational resources in the UK, North America and Australia. This section demonstrates the book’s seriousness about putting its claims into action. It does not just talk the talk, but also walks the walk; after reading through this section, I felt inspired and empowered with a long list of fun and realistic ideas perfectly suited for my family. Here the phrase “successive authority” is a translation of the word “khalifa” which describes the basic relationship that mankind has with planet Earth. It has been translated in many ways, often creating confusion about the role that humanity has to play here as there is no perfect word in English to convey the full meaning of the Arabic word. However it can be explained as a position of subservient leadership. We have a level of control over our environment which is unlike that of any other creature. That fact places us in authority over our environment, whether we like it or not. However, like all leaders, we have also been given the freewill to exploit for the satisfaction of our own ceaseless desires, or to use the environment responsibly in subservience to a higher power and purpose. It is worth asking ourselves, how will our children and their children remain rooted to the reality of our position as khalifa on Earth with only an abstract understanding of what the world is? How will they understand the world differently when their only wild animals are cartoons and their only trees are mere city ornaments? These are questions that this book explores in depth, and its conclusions are rather disquieting. Another point that the book makes is the growing prevalence of what Louv calls the know-it-all state of mind or, in Islamic terminology, kibr. He argues that our immersion in the dry, sanitized, technological world has instilled a type of kibr in our hearts which prevents us from feeling wonder and awe at the world around us because we feel (mostly subconsciously) that the narrow, predictable life of the indoors is all there is. We have much knowledge, but little wisdom and while we may have access to infinite data through a computer screen, we are missing out on the vital information that floods our five senses together, making us feel completely alive and making us wonder at the creation of Allah. Whatever shape nature takes, it offers each child a world separate from parents. Unlike television, nature does not steal time, it amplifies it. Nature offers healing for a child living in a destructive family or neighborhood. It serves as a blank slate upon which a child draws and reinterprets the culture’s fantasies. Nature inspires creativity in a child by demanding visualization and the full use of the senses. Given a chance, a child will bring the confusion of the world to the woods, wash it in the creek, and turn it over to see what lives on the unseen side of that confusion. Nature can frighten a child too, and that fright serves a purpose. In nature, a child finds freedom, fantasy, and privacy; a place distant from the adult world, a separate peace. Assalamu'alaykum. 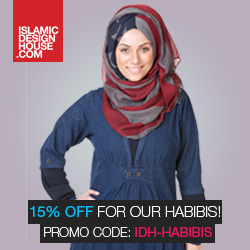 Masha Allah this is truly a great and well-written review sis Tara! I am very much interested in reading this book insha Allah. A very important subject. I love the way the review was written such that the subject of the book was tied with our Deen..